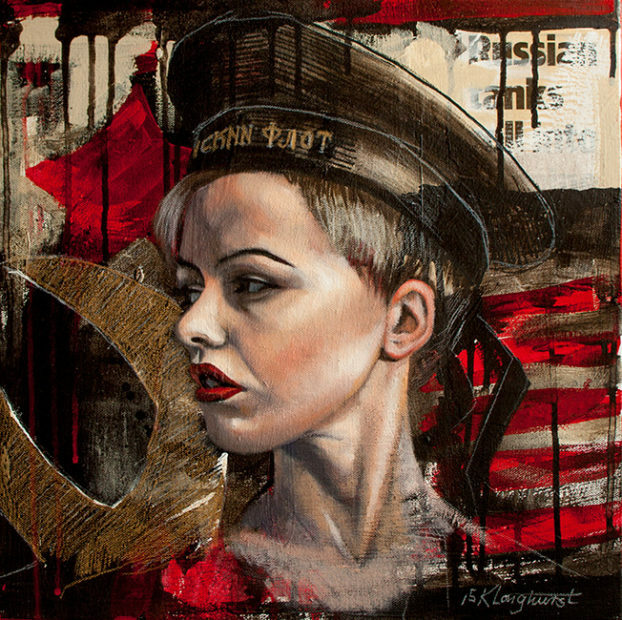 Kathrin Longhurst grew up in Communist East Germany, moving to Sweden in 1987 and then travelling extensively throughout Europe, Asia and America. 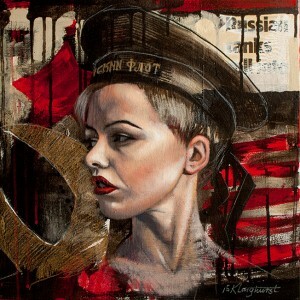 She settled in Australia in 2000 where her artistic career has flourished. A classically trained figurative painter, Longhurst began taking life drawing classes at the age of 14 and continues to develop her knowledge of the human form. Her work is strongly influenced by her childhood in the GDR, referencing the propaganda posters depicting working-class women. Yet Longhurst subverts the ideological principles of these posters by infusing the fictional women she paints with a glamour and sexiness she so longed to see as a child. Longhurst has been a finalist in numerous awards including the 2012 Sulman Prize, the Portia Geach Award, the Shirley Hannan National Portrait Prize, the Mosman Art Prize and the WA Black Swan Prize. Her work has been widely collected in Australia and internationally.